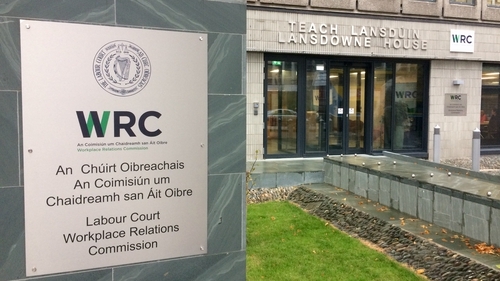 The State's further education and training authority, Solas, has been ordered to pay €20,000 to an employee after it was found to have discriminated against him on the grounds of age by the Workplace Relations Commission. The agency has also been criticised by the WRC for failing to take a complaint of ageism seriously, given that it itself has conducted research on the problem of age discrimination. It has been instructed to conduct a review of its employment policies and procedures to ensure that they comply with equality legislation. The case centred on interviews that were held for the post of Assistant Manager at the Limerick Training Centre four years ago. The centre is now run by the local Education and Training Board but at the time was run by Solas. A 60-year-old employee was asked at his interview: "Do you not think at this stage that you should be taking it easier?" Dave Barry took the case because he believed the question was a breach of equality legislation. In his submission, Mr Barry said he interpreted the question as a reference to his age, and felt the interview panel thought that he should not be going for promotion with five years left to his then compulsory retirement age. He also said he believed the question made assumptions about his ability to do the job based on his age. He cited comments written in an interview assessment sheet to support this. Mr Barry said although he had proceeded to answer the question, he could not sleep that night because he felt an injustice had been done. Solas denied the question had been asked. In its submission to the WRC, it said Mr Barry had been asked: "What motivates you to take on this role at this stage in your career?" It said the question was not ageist because Mr Barry's capacity in regard to age was not the intent. It said the interview panel was experienced and that the person who had asked the question also trained interviewers in interviewing skills. In its ruling, the WRC criticised what it called Solas's "attempt to misrepresent the situation". It said it found Mr Barry to be "a compelling witness", and it "fully accepted" that the question was asked in the way he suggested. It said that the "softened version" of the question, put forward by Solas, was also potentially discriminatory. The WRC also criticised an internal investigation into the matter as "merely a tickbox exercise". In the ruling, Solas came in for particular criticism given its role as the State's further education and training authority. The WRC pointed out that Solas had itself conducted research that showed that being older was one of the barriers towards participating in further education and training. It said for this reason the organisation should be even more conscious of avoiding age-discriminatory practices towards its own employees. It said while the person who had asked the question was not an employee of Solas, no other member of the interview panel had intervened, and that Solas had subsequently failed to take Mr Barry's complaint seriously.